Help! 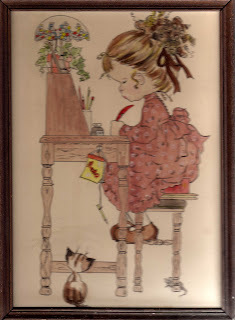 I probably should know who did this very lovely picture of a little girl writing at her desk, but I can't for the life of me remember who it is. 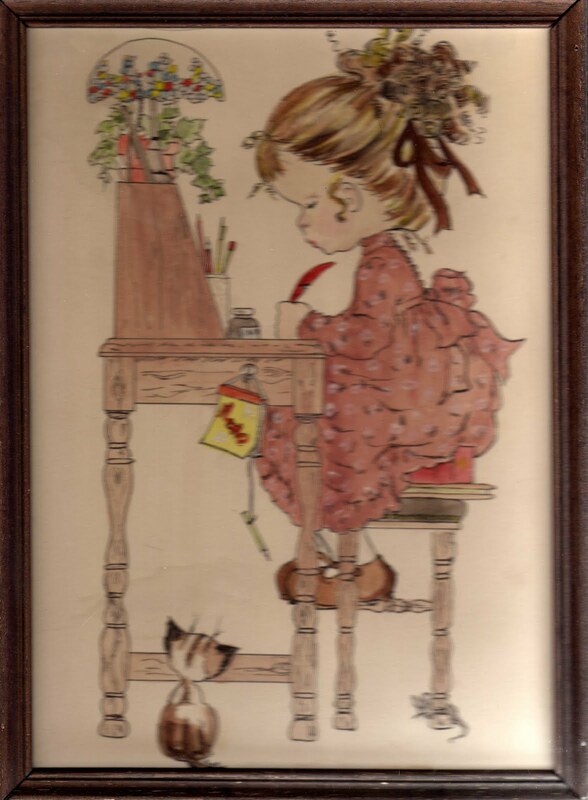 I've had this image hanging on one wall of my bedroom or another for about 20 years (possibly more) and I've always felt quite close to that little girl, although she (jealous italics) had a cat and although she was wearing a dress (horrified italics). Can anybody help me on that one? I knew I knew it! That sounds very likely, thanks! You are very welcome. See you guys soon. A fun-filled tour of the fair city for very young readers, this is an English-Irish wordbook, a search-and-find-book and a generally lovely piece of work illustrated by Tarsila Kruse and published by the O'Brien Press in May 2019! A fun spin on an old folk tale from Armenia. Illustrated by Julie de Terssac. Click on the pic for more info. Click on the pic to go to Mad Cap's mini-site. A crazy caper of a book app, involving dinos and a rubbish detective. Illustrated by Claire Chavenaud. Click on the pic for more info. Illustrated by Eric Puybaret and available in 6 languages. Click on the pic for more info. Illustrated by Daniela Volpari and published in 6 languages. Cick on the pic for more info. Classics retold in very simple, accessible prose, for young learners of English. This Way to my Website! All my books and news in French with a bit in English!